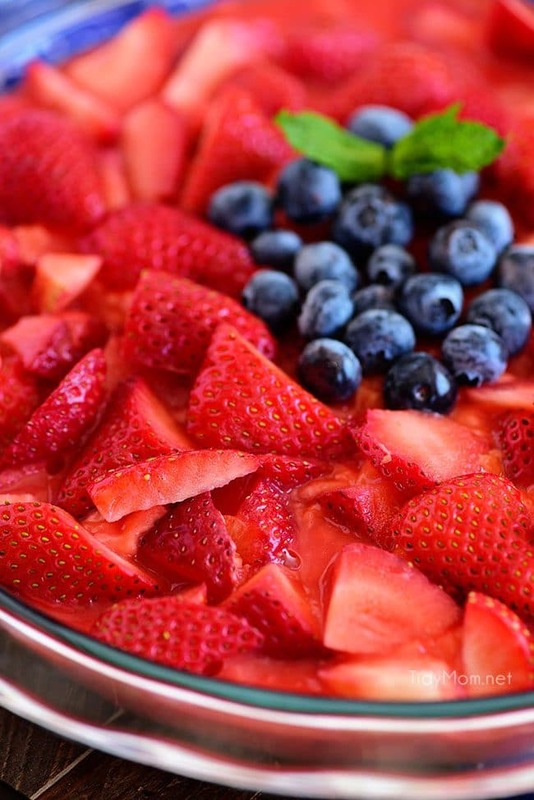 A simple strawberry pie with jello is the perfect skinny dessert. Just four guilt-free ingredients and you have a beautiful low-carb crustless jello pie. Summer has quickly approached, and it’s not going away anytime soon. Warmer temps and pools open everywhere mean only one thing… swimsuit season. I don’t know about you, but even typing those words makes me shudder. I absolutely love my job and what I get to do, but let’s just say the job doesn’t come with a size 2 waistband. There’s always so much temptation, but today I found my new favorite dessert that won’t make me afraid to look up nutrition facts on. Why Make a Crustless Strawberry Pie with Jello? Pie is my weakness, and it always will be! No matter how many diets I go on I can’t seem to shake the pie craving. Because of this, I knew I needed to find a solution. Even if you don’t use/understand Weight Watchers just know that incredibly low for a pie with this much flavor! Finally, you’ll won’t have to pass on dessert at the Summer BBQ with fear of what it will do to your thighs later. Not to mention you won’t have to sacrifice flavor at all. 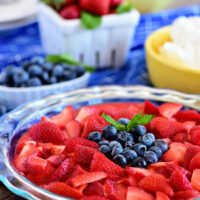 Fresh strawberries and blueberries give the jello pie a light and refreshing taste perfect for summer. Paired with the vanilla pudding you’ll wonder how something so delicious could be so guilt-free. I questioned it at first too. Use light Cool Whip Lite (or Fat Free or Sugar Free) instead of whipped cream for an optional topping. I know we all love whipped cream more, but the Cool Whip Lite will keep the calories down. Pay attention to the pudding and jello packets. You want to make sure you buy the sugar-free versions of both. This is a huge part of what makes this low calorie and diet friendly. Bonus points because the low sugar makes this a diabetic-friendly pie! Be sure to use Sugar-Free Cook and Serve pudding NOT instant. Use fresh fruit it at all possible, frozen or canned could have extra preservatives. Fresh fruit is the healthiest option and gives the best flavor. This pie is so good you’ll never miss the carbs! 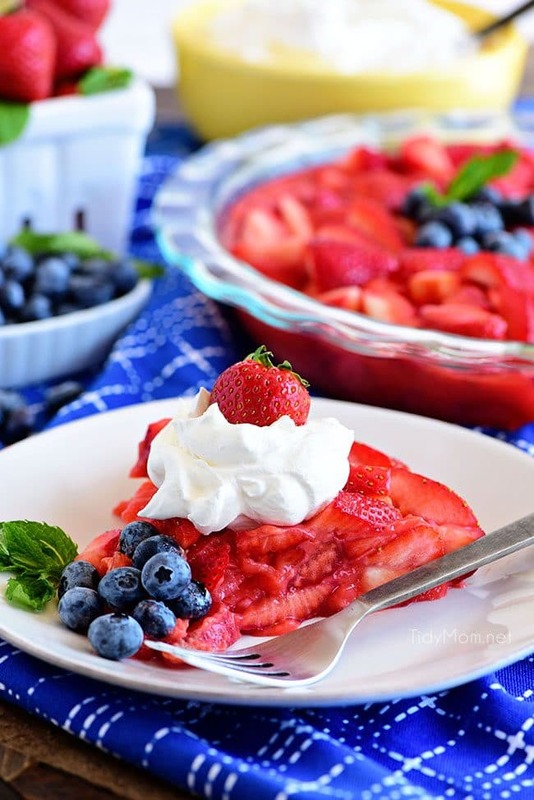 Crustless low carb strawberry pie is an easy, tasty, and satisfying dessert. 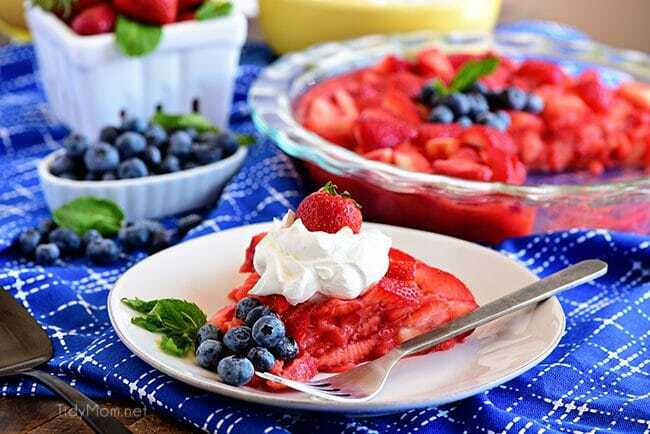 While this pie will be the best during the summer since that’s when berries are in season, that doesn’t mean there is ever a bad time for this strawberry pie. When the fruit is out of season I like to go to stores like Whole Foods because they tend to have decent produce all year long. End your night with a post-dessert drink that’s just as diet-friendly as the pie! A Skinny Margarita is my favorite low-calorie cocktail to enjoy in the summer on our deck. If you love strawberries as much as we do you’re going to need more recipes in your arsenal this season. 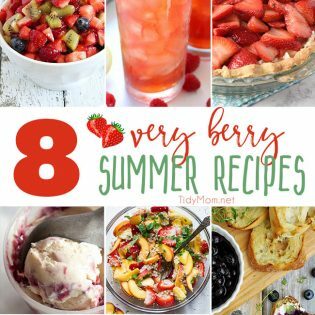 Here are some of my favorite strawberry recipes. They might not be as skinny as this crustless strawberry pie, but you have to live a little sometimes right? 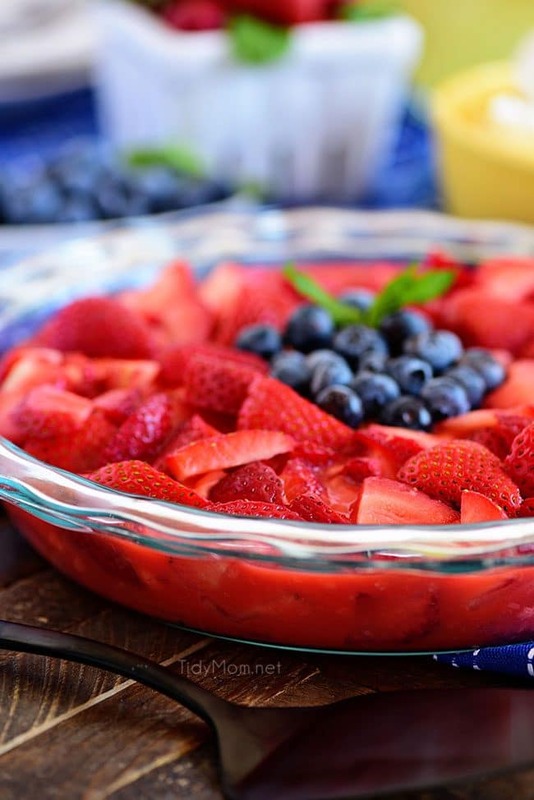 Go get some fresh strawberries and make this amazing summer dessert. It’s so tasty and satisfying in this summer weather. Like this Strawberry Pie Recipe? Pin It! 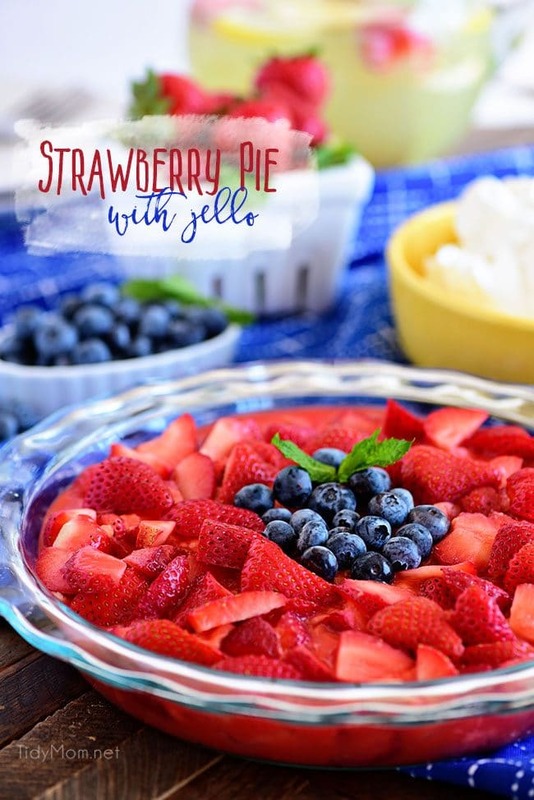 SEE THE RECIPE CARD BELOW FOR DETAILS ON HOW TO MAKE FRESH STRAWBERRY PIE WITH JELLO. ENJOY! This pie can be made year round, but it’s absolutely perfect for June through August. It screams Summer. 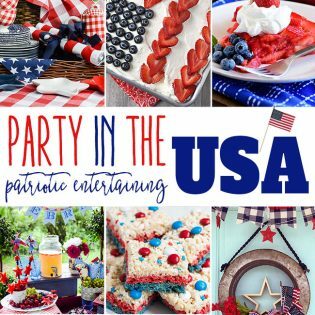 If you’re ready to be the hit of the party, bring this pie! Hopefully, this recipe will ease your dessert cravings, without the guilt. 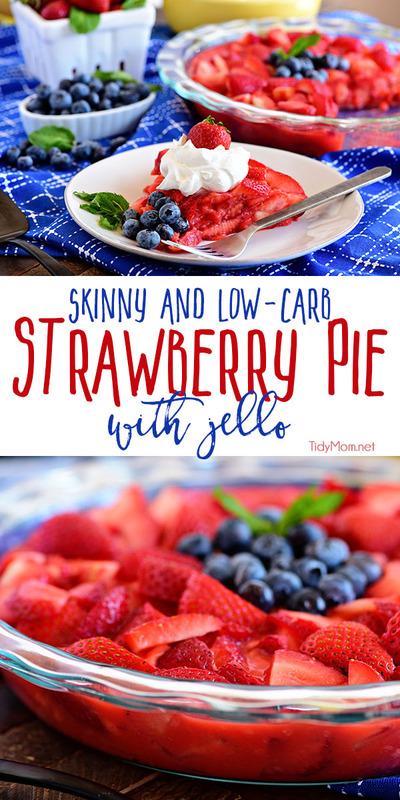 A simple strawberry pie with jello is the perfect skinny dessert. Just four guilt-free ingredients and you have a beautiful low-carb and diabetic friendly crustless jello pie. The WHOLE PIE is just 4 Weight Watchers Freestyle Points! In a medium saucepan, whisk pudding mix and water until pudding mix is dissolved. Heat to a boil. Remove from heat and immediately add the Jell-O mix. Stir until dissolved. Set the pan aside and let the mixture cool to room temperature. Meanwhile, place sliced strawberries in the bottom of a deep dish pie plate. Pour cooled jello pudding mixture over the strawberries. Place a few blueberries in center of the pie, if desired. Refrigerate until chilled (at least 4 hours or overnight). Be sure the pie is well set before slicing. Serve by the slice with Cool Whip Lite. You will need to calculate additional WW Freestyle points if you choose to serve with Cool Whip. Looks good, now I’m craving strawberry pie. Oh yummy! I was hungry before, but now I'm really hungry…for a strawberry pie! Guilt free is even better. Yum. So great for summer! Looks like a nice, light dessert. I always like to have recipes like this on hand. I so need this! It looks yumalicious…I’ve baked myself 5lbs more than usual so great, sweet, guilt free is EXACTLY what the doctor ordered! This is a great recipe!! It tastes great. The only thing I want to say is you said to use the lite cool whip. Then later you talk about how this is a good low calorie and is a diabetic friendly choice. When a diabetic looks at a meal they don’t look at calories, they look at carbs, and the light cool whip has mote carbs than the regular cool whip. Sorry I just needed to say something.